It's crazy to think that influencer marketing is less than a decade old. Yet, it's completely changed the way brands advertise. Gone are the days of spending thousands or even millions of dollars on giant billboards and magazine spreads. The brands in the age of the Millennial are switching their advertising spend to PEOPLE. People who have created micro and macro communities around their personality, life or even a particular skill. It's given companies intimate access to their ideal audience that they’ve never had before. Instead of a spray-and-pray approach, brands can now find a very specific community of people that they know will love their product. Curious about how many dollars Instagram influencers are making per post? Or want to know more about monetizing your feed? Go grab a cup of tea, 'cause I'm about to spill alllll the details. How Much Do Instagram Influencers Make Per Post? According to a report by Later, 79% of businesses rank engagement as the most important factor when evaluating influencers. Quality of followers and industry or niche are a close second (70%) and third (67%). It's no secret that the larger your following, the higher your rates, but what exactly are top tier influencers charging? According to the Financial Times, if you have an audience of 100,000 followers, you can charge brands $2,700 USD per post. Influencers with four to 20 million followers typically make a cool $6,000 to $17,500 USD every time they upload a sponsored post. Based off the Financial Times estimations, we can guess that Stefanie made a little less than $6,000 from this one sponsored post! That's basically 2 to 3 months' rent for an apartment in Los Angeles. But what about Instagram accounts with between 10K and 100K followers? If you've built up your audience to 30K and have a strong engagement rate (around 7%), you can earn up to $350 USD per post. But don't limit yourself to just Instagram feed posts. Influencers use the app's latest features to make even MORE money. A mention of the brand in the caption without a picture of the product. X amount of Instagram Stories mentioning the brand. An Instagram Stories takeover of the brand’s account. Promoting a giveaway for a brand. How Much Money Can You Earn Per Post on Instagram? "$1,000 per post?! How can I have a piece of that pie, Elise? I mean, is there any room left for me?" There is more than enough ka-ching to go around for micro influencers. 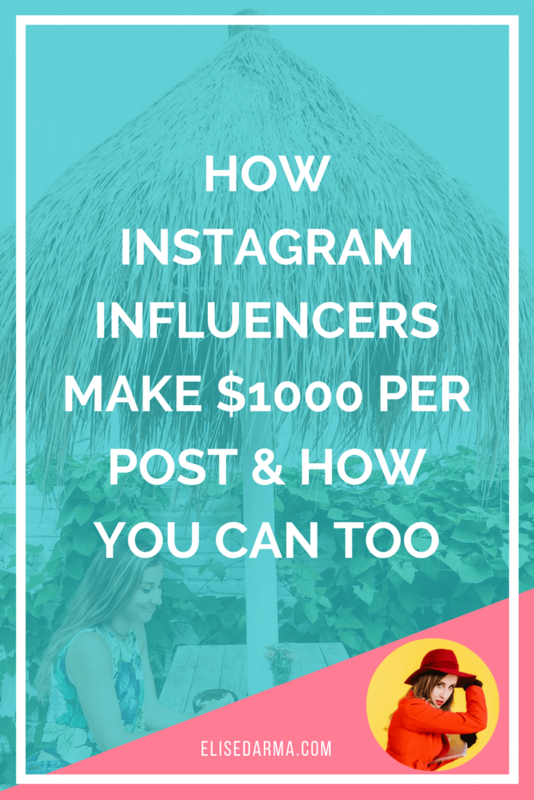 You don't even need to hit 10K to start earning money from your Instagram account. Meet Kait (@kaitkillebrew), one of my InstaGrowth Boss students. She's created an entire account dedicated to her love for Disney. She only has 7.7K followers, but she's already working with brands that are tapping into her niche audience. Want to know how much your audience is worth? Influencer Marketing Hub has created an Instagram Money Calculator. It estimates your potential earnings per post by taking into account the size of your account and your engagement rate. Got your results? All that's left now is to prep your media kits and start pitching! Think of your media kit as a visual resume. It gives brands a quick overview of who you are, what you do and how you can help them meet their business goals. It helps brands decide which influencers are the best fit for a campaign, and it's the gateway to monetizing your audience. Tip: Canva has a ton of awesome Media Kit Templates that can be found here. Examples of what your Media Kit could look like, courtesy of Canva. Brands want to know WHO your followers are and if they align with their ideal customer. Make sure you include age, gender, and location. 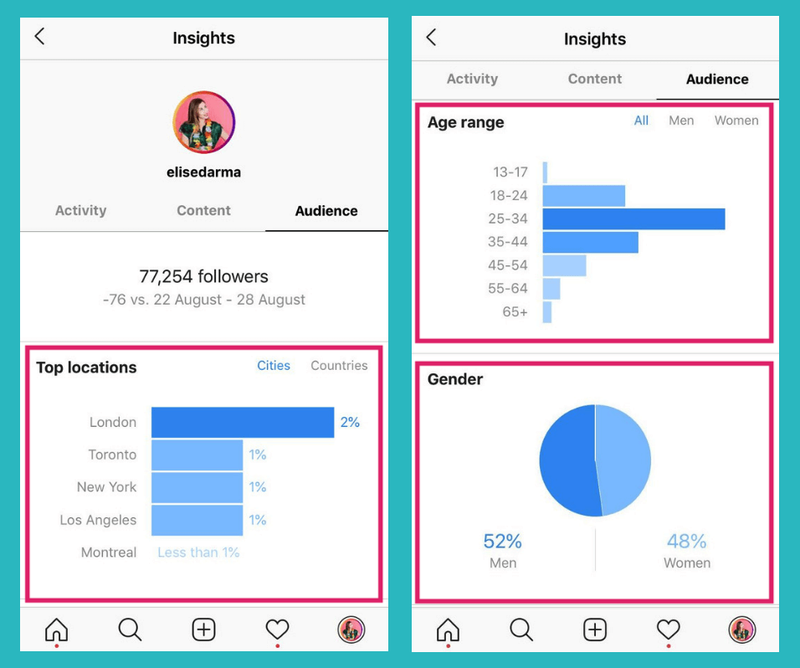 You can get most of these statistics from the Insights menu on an Instagram business account. Once you've entered your Instagram handle into the Instagram Money Calculator, you'll have a good idea of what your audience is worth. Make sure the rates on your media kit reflect this and don't hide it from brands. If you're upfront with how much it costs for a sponsored post on your feed, a brand can quickly determine if they have the budget to hire you. This saves you and them a lot of time. Remember earlier I mentioned how those top-tier influencers are milking all of Instagram's features? You can do that, too! Just list the different types of services you can offer a brand and how much it will cost. Tip: Packages are a smarter way to sell your Instagram account. It gives brands options and a chance for you to upsell your services to boost your bottom line. Have you worked with brands before? Include that in your media kit. It's an excellent way for companies to see the quality of work you offer and what they can expect. If you're starting out and still in search of your first collaboration – don't stress. Use this space in your media kit to show off your top performing Instagram posts. It will give brands an idea of the kind of photos you take, how you edit and how well your audience responds to your work. 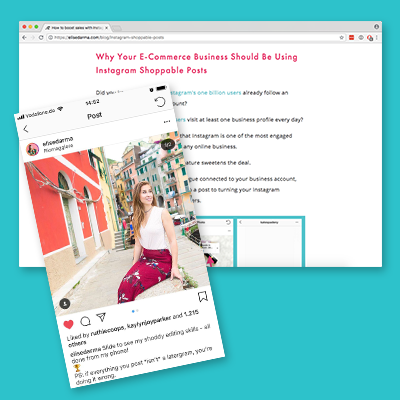 It’s Time to Turn Your Instagram Account into a Business! Want to learn more about growing your Instagram so you can start making money? 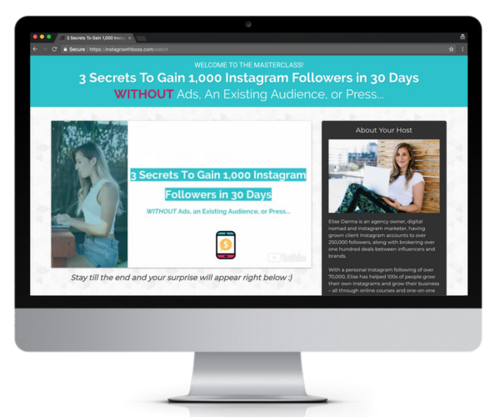 Sign up for my free masterclass, where I teach you my three secret strategies to gain 1,000 new and engaged Instagram followers in just 30 days.